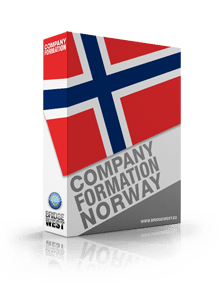 In order to incorporate a company in Norway the investors must draft the articles of association and other documents such as specimen signatures, special forms or passport copies of the persons interested to open a company in this country. Our specialists in company formation in Norway can assist in drafting the articles of association and other incorporation documents for any new business and can advise investors on the registration requirements. Foreign investors interested in opening companies in Norway, should become familiar with the legal entities available for incorporation in the country. Our company registration experts in Norway can assist with advice on the main legal entities a foreing investor can open in the country. 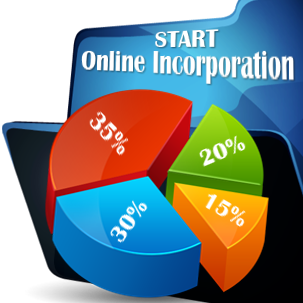 The most popular business form, generally registered by small and medium businesses, is the private limited liability company (Aksjeloven). The incorporation of an A.S requires a minimum share capital of NOK 30,000 (approximately EUR 4,000). This type of Norwegian company can be opened by at least one founder and the major decisions in it (such as appointing the executive bodies, the increase or decrease of the capital, the modifications brought to the statutory documents) are taken by the general meeting of the shareholders. The capital of such business is divided into shares and the decision to transfer these shares can be taken only by the majority of the votes of the members. A Norwegian joint stock company (Allmennaksjeselskap - A.S.A) is designated for larger businesses, and the required capital, divided into shares, cannot be less than NOK 1,000,000 (approximately EUR 125,000). The capital of the A.S.A is divided into stocks which can be transferable to the public and it may also be registered with the stock market. The registration with the stock market is important because it is a modality of increasing the share capital. The major decisions are also taken by the general meeting of the shareholders while the daily decisions are taken by the members of the management board. A business form in which the liability of the members is unlimited is the Norwegian partnership, which can be registered as general or limited. A Norwegian general partnership is formed by equal partners who can split the profits and are fully liable for the entity’s actions, while a Norwegian limited partnership is formed by a general partner and at least one silent partner. The silent partner is bringing a contribution to the entity’s capital and it has a limited liability to the extent of his contribution while the general partner has full liability in the partnership (even with his own assets). What are the main characteristics of a private limited company in Norway? • investor friendly – the business form offers the same regulations that are applied to Norwegian businessmen. What are the main taxes applicable to a Norwegian limited liability company? Since the company is created to perform commercial activities, it will be liable for taxation in Norway. At the level of 2018, the profits derived from a limited liability company are taxed at a rate of 23% and it is calculated for the profits of an income year (the corporate tax was reduced from a rate of 24%). The tax has to be paid in the following year, in two filing sessions. This business form may also conclude dividend payments in which case the company will be liable to taxation. In 2018, the tax applicable to natural persons acting as shareholders is imposed at a rate of 30,59%, while the same procedure, applied to corporate shareholders, is generally exempted from taxation. Another tax applicable to this legal entity is the value added tax (VAT). Depending on the company’s activities, the business form can benefit from lower VAT rates or even exemptions on this tax, as certain products and services are included in special categories of VAT. What are the main corporate taxes applicable in Norway? • companies are also liable to paying the capital gains tax, the stamp duty, the petroleum revenue tax and the tonnage tax. The specific of the Norwegian company formation procedure is that it is performed through the Brønnøysund Register Centre. In the beginning of the process of company formation in Norway, the founders must open a bank account and deposit the company’s capital. The bank will issue a deed of deposit and the balance sheet must be examined by an outside auditor. This auditor will issue a statement confirming the opening balance and the company's acceptance of the auditor appointment. The documents necessary for registration in the Norwegian Register of Business Enterprises can be deposited online through the web based filling system, in person or through post. The VAT registration form can be submitted at the same time as filing for company registration and it is necessary when the annual turnover will exceed NOK 50,000. The last step of the company formation procedure in Norway is enrolling in the mandatory workers’ injury insurance and arrange for mandatory occupational pension plan for employees. If you want to open a business in United States of America, Indonesia, Seychelles or Canada, we can put you in touch with our affiliates. As a general rule, the procedure of company registration in Norway takes between 5 to 7 weeks, depending on the business form chosen for registration. As mentioned in this article, the company has to establish a corporate bank account for the newly founded business, a procedure which can take approximately 4 weeks. Legal entities registered in this country can be established with 100% foreign ownership and the investors are not required to travel into Norway for the registration procedure of their business. Also, foreign investors can freely enter import-export activities in this country and they can easily rent an office space in one of the Norwegian regions. Foreign businessmen who intent to start a company in Norway or to invest in a local business can obtain a Business Visa. This visa can only be obtained if certain legal requirements are met, one of them being the minimum investment that will be performed by the foreign businessman in this country, which is set up at EUR 100,000 (this being the minimum threshold, but the entrepreneurs may also invest a larger sum of money). In order to obtain this type of visa, the investors will need to be the owners of one of the permits that are issued for this purpose, in this case, the C visa, the D visa or the Residence Permit. However, it is necessary to know that the issuance of the visa is limited to investments in several economic sectors, such as shipping, oil and gas, IT data centers, seafood industry or the green energy sector. This document allows foreigners to live in Norway and apply for permanent residency, which can only be granted by the local authorities if the person has been living in this country for minimum 3 years. Foreign businessmen may also apply for the Norwegian citizenship after 7 years of continuously living in Norway. With high standards of living due to the stocks of natural resources (especially on petroleum, forests and minerals) compared to the size of population, Norway is considered one of the most powerful countries in the world. Norway is placed in the top of the major exporters of oil, natural gas and fish. It’s also known as a great maritime power (bordering the North Atlantic Ocean and the Barents Sea) and a big hydropower producer. Even though it has decided not to be an EU member, Norway has access to the European Internal Market by signing the EEU (European Economic Union) treaties. With flexible commercial laws for those willing to open a company in Norway and only a few steps that need to be fulfilled before starting a new business, this jurisdiction is considered one of the most suitable destinations for foreign investors. For complete assistance during the company incorporation procedure in the country, please feel free to contact our team of company registration experts in Norway. 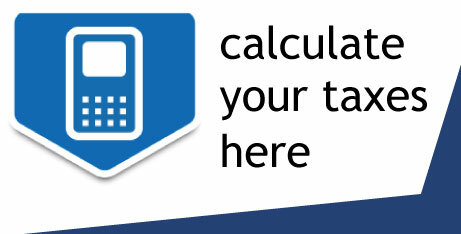 In case you want to know the amount you have to pay as corporate tax, dividend tax and value added tax in Norway, please use our free and instant tax calculator. Wahl-Larsen Advokatfirma AS is a experienced firm in company incorporation cases, located in Oslo. Our company is a part of Bridgewest, an international legal network with numerous affiliates both in Europe and in other continents. In case you need company formation services in another European country, we recommend our partner company formation firm in Netherlands. For specialised legal assistance in Norway, we collaborate with a reputable law firm in Norway that can help foreign investors in several commercial matters.